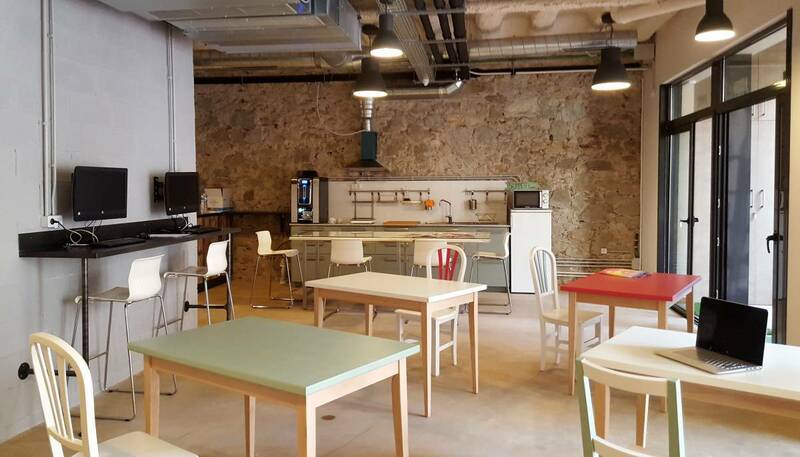 Ten To Go Hostel is very conveniently located at 300m of Estación Sants, Barcelona largest train station, and from there a few metro stations to all main Barcelona tourist attractions. The property boasts awesome social areas with an outdoor swimming pool in a lovely patio, an inviting living room and a fully equipped kitchen for guests. Each room is equipped with extra-large bunk beds offering room, privacy, individual plugs and lockers . Guests have access to shared bathrooms with showers offering an individual storage place. Hairdryers are available at front desk. Free WiFi is available all over the property, including the patio! 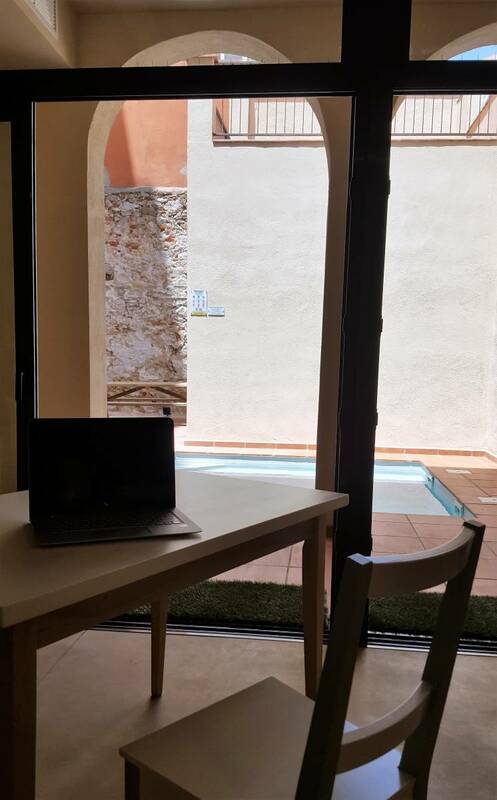 At Ten To Go Hostel you will be able to enjoy our outstanding patio with its exterior pool while surfing on the web. 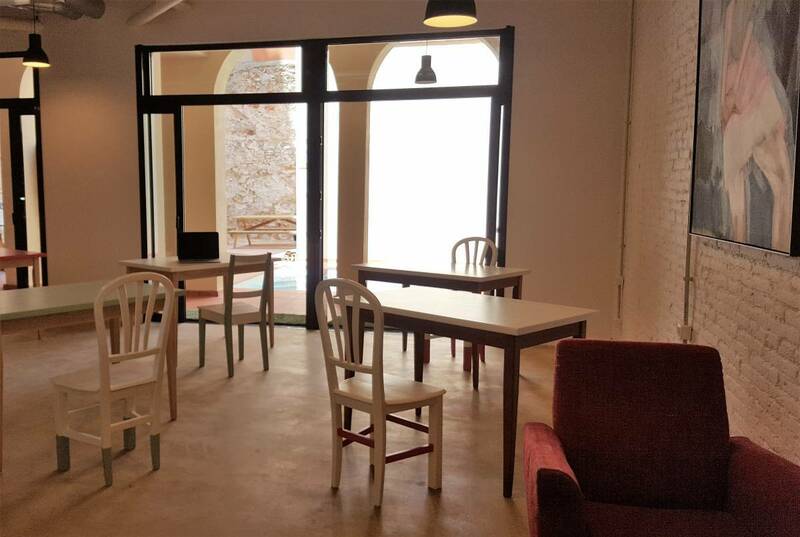 Ten To Go Hostel is proud to offer a traditinal hostelling experience through its shared rooms, all of them equiped with stylish wooden made bunk beds and their correspnding individual night tables, night lamps and power sockets. Find our remarkably practical shared bathrooms with spacious shower cabins. 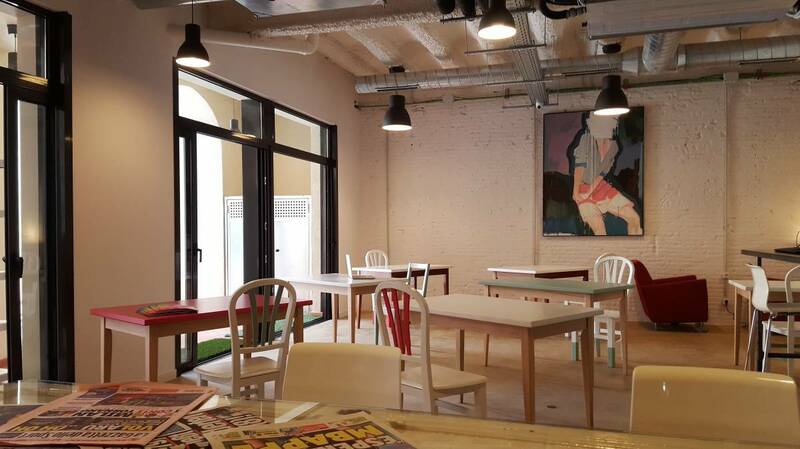 Ten To go is located in the fabulous "Sants" neighbourhood: traditional, authentic, genuine and yet vibrant; a true village in the middle of a town! Take a chance to chill-out having some tapas at plaza de "Osca", get to see our famous human castles at "Bonet i Muixi", find inspiration at the border of our "Parque industrial" lake! Cash and Visa & Mastercard credit cards (including credit and debit) are allowed. Please note that credit and debit card (hereinafter “Cards”) payments may imply a 4% extra-charge of the corresponding portion of the payment amount done by Card. That is to say, should you wish to pay 50% of the corresponding reservation total cost in cash and the other 50% part with a credit, debit or electronic card, the 4% extra-charge would only apply to the amount payed with credit, debit or electronic card. Please consider that cancellation policies may vary depending on the offer rate chosen (and their specific conditions). However, cancellations regarding standard booking rates operated on our website or directly with our front desk staff must be made and confirmed with our staff exclusively by e-mail. 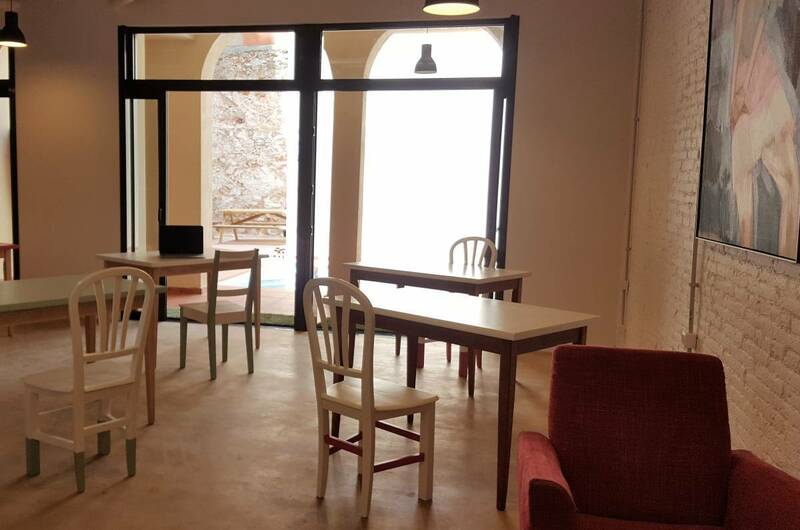 Ten To Go hostel has a 24 hour standard cancellation policy: that is to say, customers have until 12 o'clock noon the day before the arrival date to duly cancel their stay at Ten To Go Hostel. Failure to cancel before time limit, the first night corresponding amount will be charged as a penalty to the given credit or debit card (all corresponding taxes included). 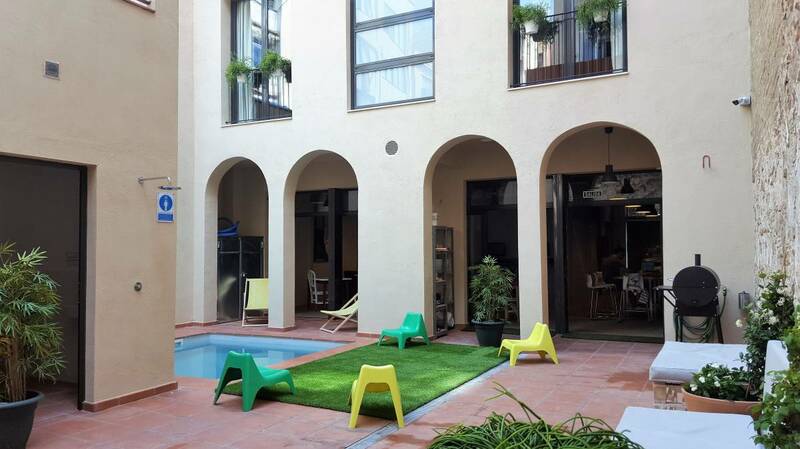 Ten To Go Hostel is located right opposite "Sants" train station. Take the "Joan Peyró (Macdonalds-Lavazza) exit; we are right ahead -Valladolid st. 43. From the "El Prat" airport, take the regional train line R2 and stop at "Sants Estació" (not to mistake with "Sants" stop). Or take the metro line 9 until "Collblanc", plus metro line 5 to "Sants Estació".